Well we all know the kind of worship and devotion that celebrities enjoy in India, especially down South. 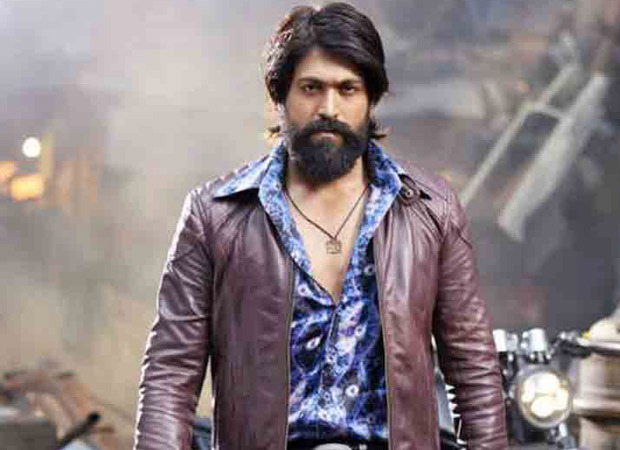 Kannada actor Yash, who is riding high on the success of his recent release KGF, was upset with one of his fans’ action. The actor was in for a shock when he heard that a fan committed suicide right outside his bungalow. He has now gone on record to request all his fans to behave responsibly and not to resort to such heinous acts. Many media reports recently published the news about a fan named Ravi Raghuram committing suicide right outside the KGF star’s bungalow. The reason was that the said fan couldn’t meet Yash and he decided to resort to suicide and set himself on fire. This obviously left the Kannada star in complete shock. He even went to visit the fan in the hospital after this incident. However, speaking about it in current reports, Yash completely condemned such acts and added that this is not fandom or love but it is an act he will never ever support. He further explained that fans bring him happiness but this kind of obsession will never ever make him happy. On the contrary, it will only make him upset and angry. He also clearly asserted that he will never ever go to see a fan if he resorts to such acts. This was the first and last time when he visited his fan in the hospital. But now he has gone to clarify that he will never ever repeat this act of going and meeting fans if they take drastic steps such as this because he believes that he will be giving out a wrong message. For the uninitiated, the 26 year old fan of Yash, Ravi Raghuram met the actor every year to click a selfie with him on his birthday. This year the Kannada superstar didn’t celebrate his birthday as a tribute to veteran actor Ambeeresh who passed away. So when the fan didn’t get a selfie like every year, he set himself on fire and committed suicide.